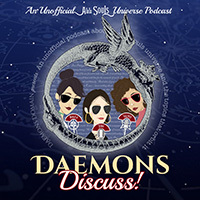 Daemons Domain - All Souls Trilogy & Universe Fan Site + Podcast: Ann Daniel Reports on Her Trip to Oxford! Ann Daniel Reports on Her Trip to Oxford! 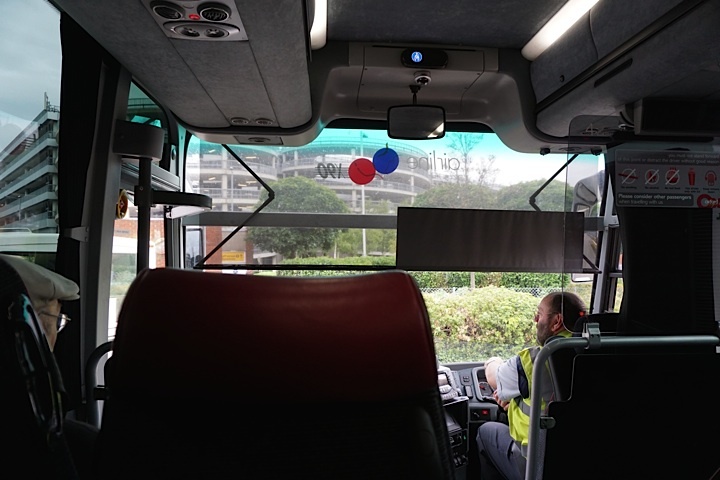 We landed at Heathrow at 7:05 am on June 16 and headed straight for the bus to Oxford. Our introduction to England was this crusty bus driver, who yelled at me because I was not loading my suitcase fast enough. Then he yelled out the door at the passengers coming up behind us to “hurry your asses up or I’ll leave you!” He turned out to be a complete hoot ~ entertaining us the whole way to Oxford. His driving? Like being in a Washington, DC cab. A really big DC cab! 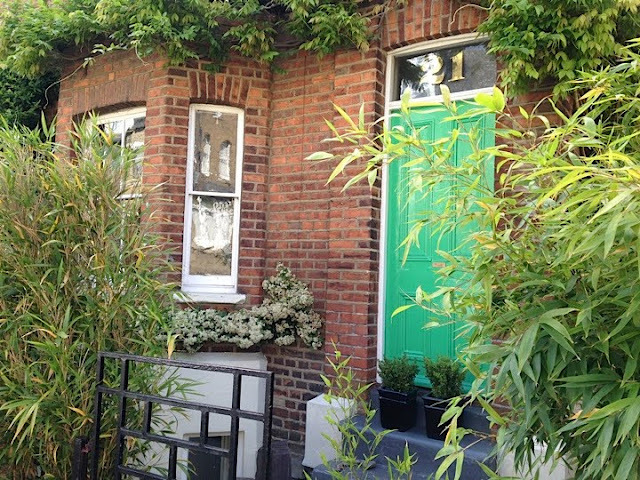 This is the lovely little B&B we stayed in. Our room and bath was in their basement, with a separate entrance. But we ate breakfast with the owners, Hoonie and Hugh. Hugh graduated from Exeter College, Oxford University and teaches there. He was the quintessential English gentleman / professor. Although it wasn't the Brown's it was a Brown's! “Wordlessly he closed the car’s door behind me and opened the cafe door. I stood resolutely in place, waiting for him to enter. A gust of warm, humid air carried the smell of bacon fat and toasted bread. My mouth started to water.” ADOW p. 67. 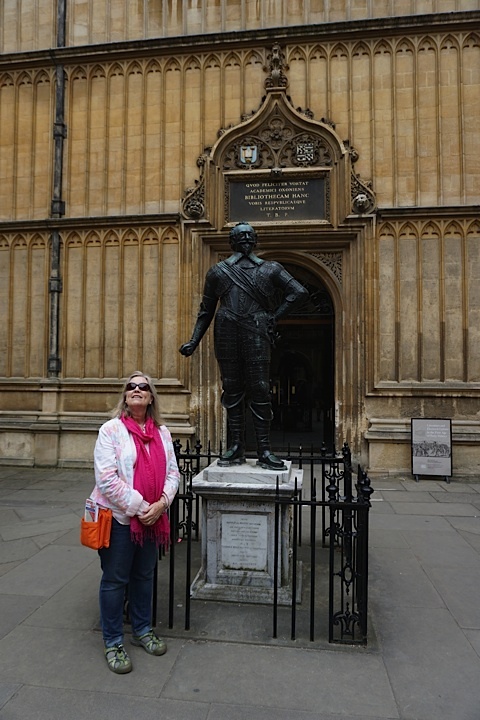 We had been awake for over 24 hours, but decided to take in some of Oxford as soon as we arrived. I wanted to eat at Brown’s Cafe in the Covered Market, where Diana and Matthew had breakfast together. Our hostess sent us to this Brown’s ~ a quite upscale restaurant ~ and by the time we registered that we were not in the right place, we had already been seated. Not wanting to be the rude Americans, we stayed. Jet lag. The mother of muddled thinking. The meal was delightful, however. “The vampire sat in the shadows on the curved expanse of the bridge than spanned New College Lane and connected two parts of Hertford College, his back resting against the worn stone of one of the college’s newer buildings and his feet propped up on the bridge’s roof.” ADOW, p. 27 I was awestruck to see the Bridge of Sighs in person. 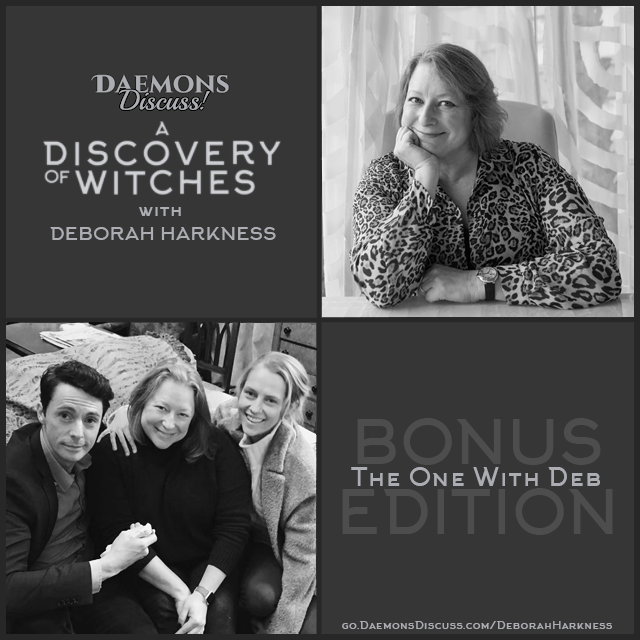 The beauty of Deb’s story is that she weaves what is real into her fiction. We took many photos from several angles, but this was the best. No tourists in sight. Just an Oxford don in his robes. And maybe a vampire up on the roof. “My feet clattered against the linoleum floors and echoed against the stone walls as I sped through the reading room’s lattice gate, past the books guarded with velvet ropes to keep them from curious fingers, down the worn wooden stairs and into the enclosed quadrangle on the ground floor.” ADOW p. 21. 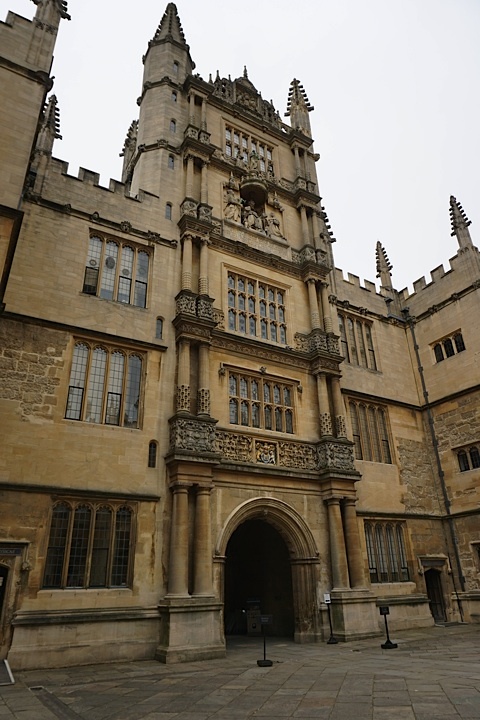 The Tower of Five Orders in the Schools Quadrangle. It is so named because it is ornamented with the columns of each of the five orders of classical architecture, in ascending order ~ Tuscan, Doric, Ionic, Corinthian, and Composite. “I leaned against the iron railings surrounding the bronze statue of William Herbert and sucked the chilly air into my lungs, struggling to get the vestiges of clove and cinnamon out of my nostrils.” ADOW p. 21. This is one of those places that I imagined to be larger than it is. But seeing the space gave a new meaning to how dangerous the confrontation between Peter Knox and Diana and Matthew was after she failed to recall Ashmole 782. The quadrangle was very busy. Lots of ears to overhear…”Matthew”’,” I repeated more urgently…”The humans are staring.” ADOW p. 188. 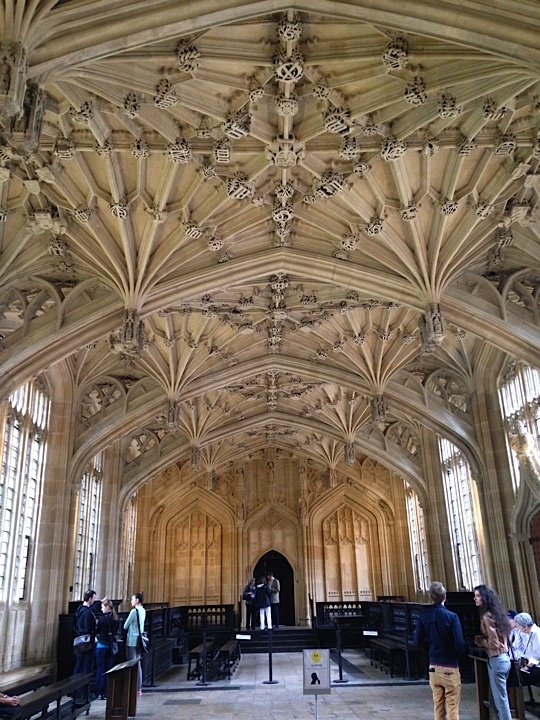 The Divinity School is a medieval marvel of architecture and is a stunning space. 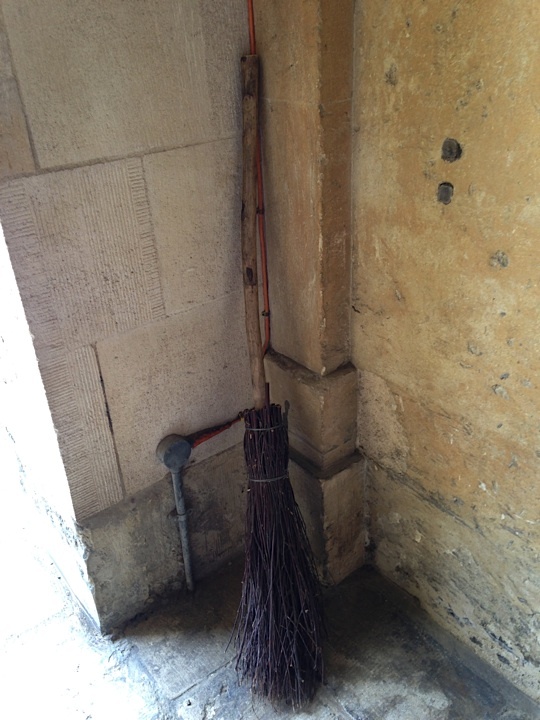 It is attached to the Bodleian. 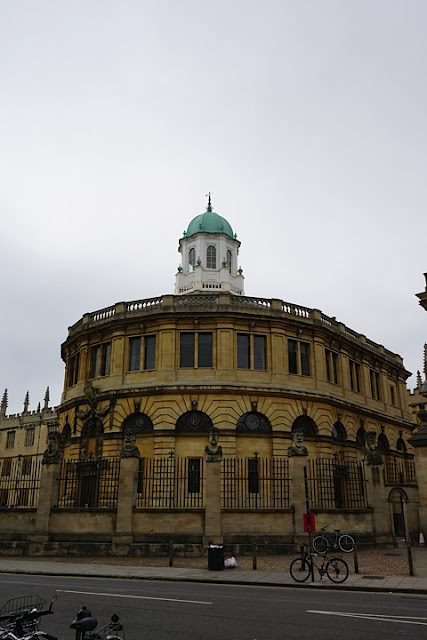 Duke Humfrey’s Library is on the first floor above it. We waited here for our tour. We had to leave ALL bags in a locked cabinet and the security guard at the entrance meant business! 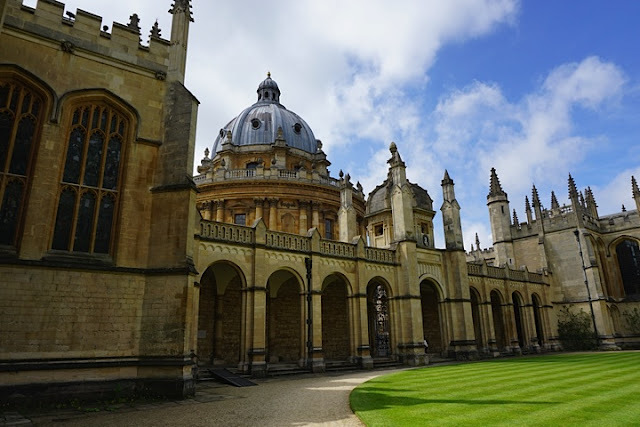 Cameras are not allowed in the library itself, but we did get the privilege of heading up to Duke Humfrey’s and looking down into the Selden End. Silence was the order, as this is a working library. We were given headsets so that the tour guide could whisper into our ears. Deb’s descriptions were perfect, and the library fit the image I had been seeing as I read. 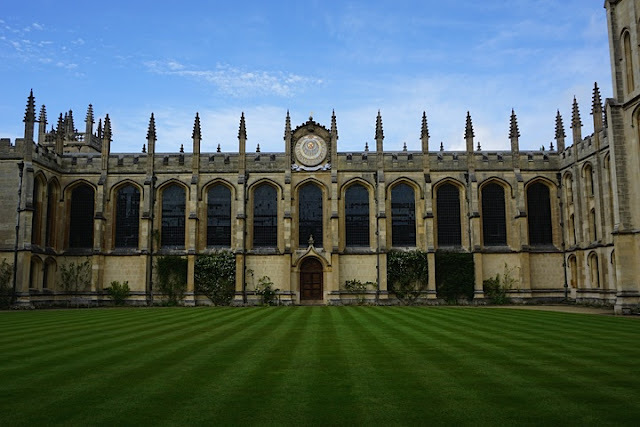 “Gothic windows directed the reader’s attention up to the coffered ceilings, where bright paint and gilding picked out the details of the university’s crest of three crowns and open book and where its motto, ‘God is my illumination,’ was proclaimed repeatedly from on high.” ADOW p. 2. “I poured each of us a steaming mug of tea so strong you could stand a spoon up in it.” “Pushing one of the mugs toward him, I fixed my eyes on the sugar. He handed it to me. I put precisely half a teaspoon of sugar and half a cup of milk into my tea. 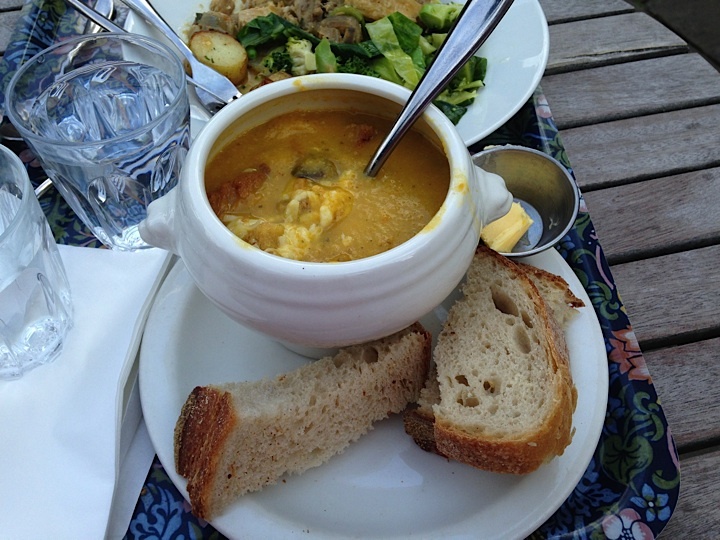 This was just how I liked it—black as tar, a hint of sugar to cut the edge off the bitterness, then enough milk to make it look less like stew.” ADOW p. 69. We visited the Weston Library, (previously The New Bodleian), which had just been refurbished and opened only 3 months before our visit. The Magna Carta was on display! We could have spent a day there, and will when we return. 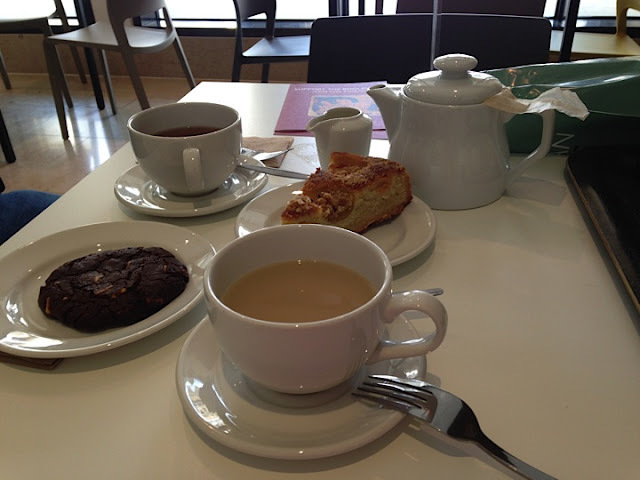 There was time for tea. 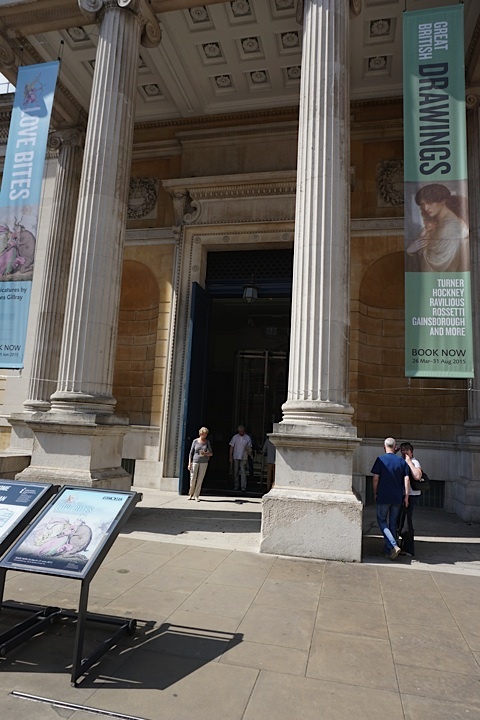 “In September 1859 I was looking through the manuscripts in the Ashmolean Museum.” ADOW p. 150. Yet another to the list of places we wished we’d had more time to visit. 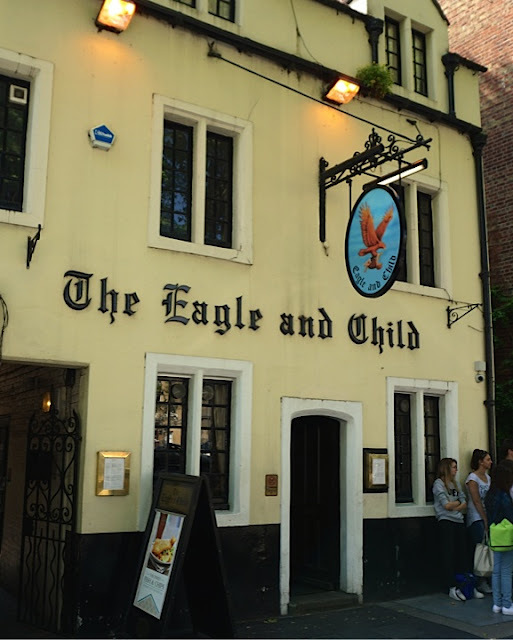 This little pub has no real tie to the AST, but is the spot where JRR Tolkien and CS Lewis met with a literary group called “The Inklings” from the early 1930’s until late in 1949. We stopped for a beer and a bit to eat and to soak up some history. "Without another word, Matthew propelled me through the quadrangle onto the wide cobblestone path surrounding the Radcliffe Camera. 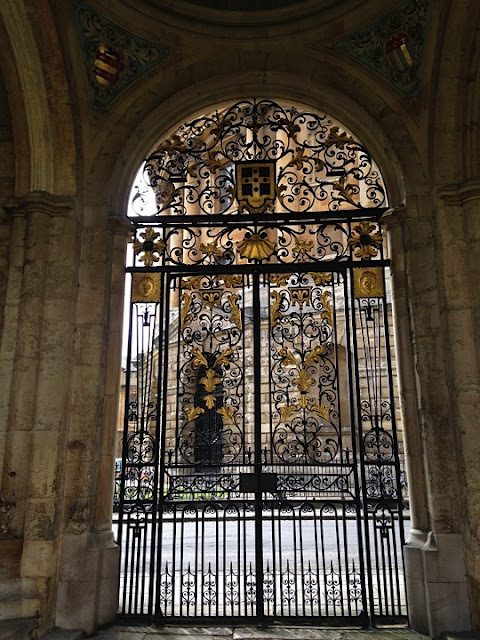 He eyed All Souls’ closed iron gates, swore quickly and enthusiastically, and kept me going toward the High street." ADOW p. 189. Busy. All the time. 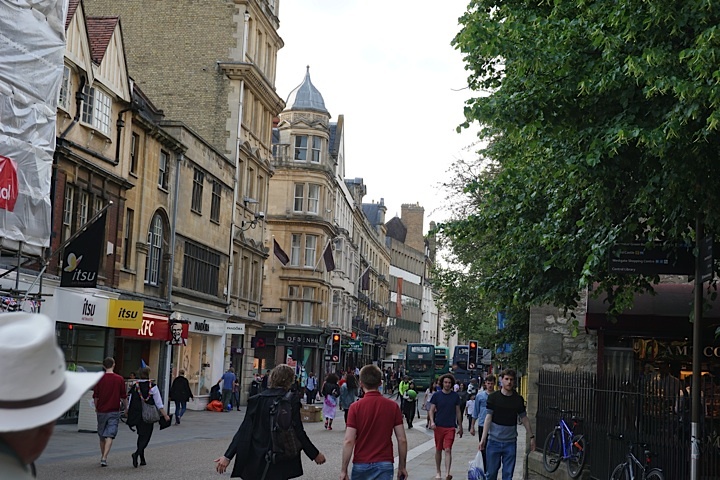 Oxford’s streets are a jumble of pedestrians, cyclists, cars, and tour buses. This American was pleasantly surprised to see them coexisting. 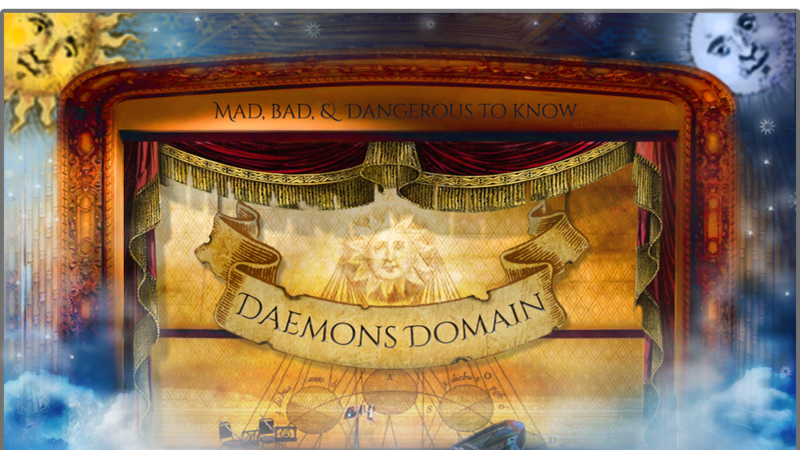 Still, no dawdling is permitted. Everyone seems to be on a mission. University Church. We bought lunch at The Vaults and Garden, situated in the old Congregation House, to the left of this tower. 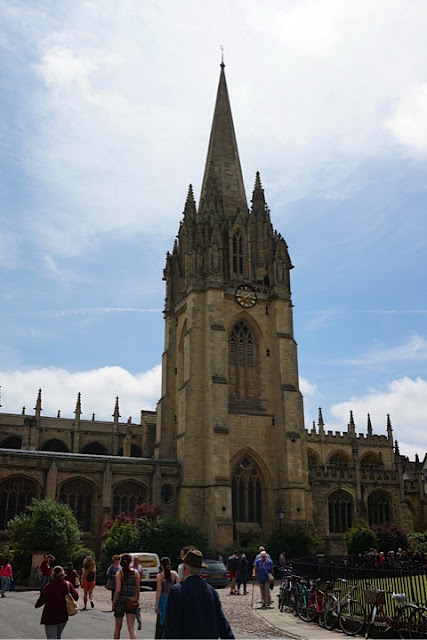 We chose to eat in the garden, affording a view of the church, the Radcliffe Camera, and All Souls. 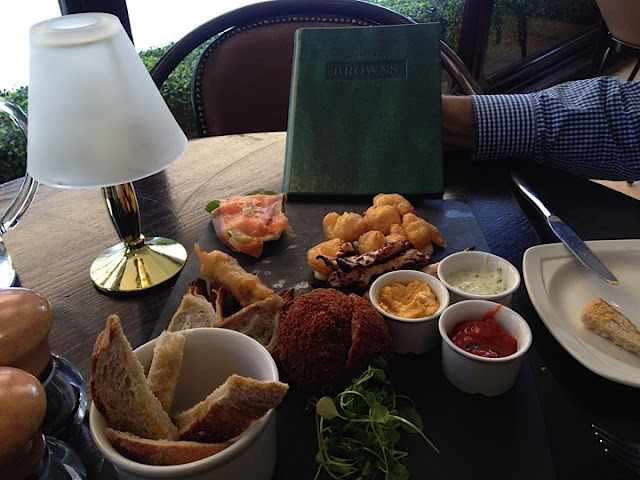 Lunch from the Vaults and Garden. 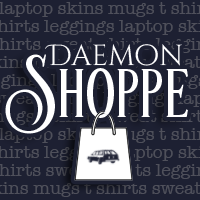 “Clairmont’s shy, pleased look was utterly disarming. 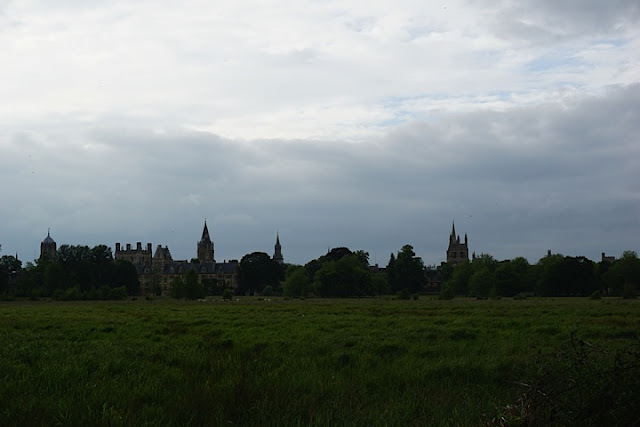 ‘My car’s parked nearby,’ he said, gesturing in the direction of Christ Church College. 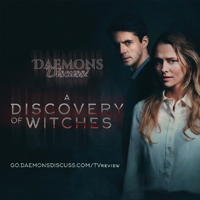 We walked in silence for a few minutes, wrapped up in the gray fog and the strangeness of being alone, witch and vampire.” ADOW p. 65 Christ Church Cathedral. 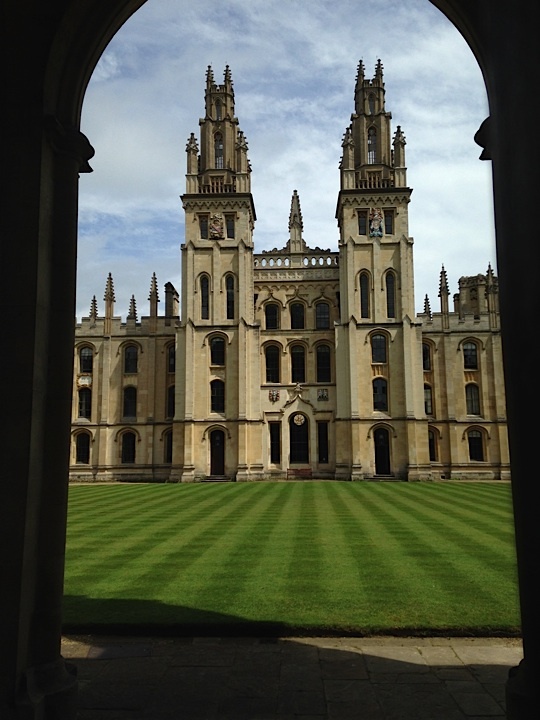 Probably the most beautiful shot my husband captured in Oxford. “A pair of ornate, scrolled gates guarded his college as if it were Wonderland. Matthew made an inpatient noise and caught my hand to prevent me from peering through them.” ADOW p. 167. I did peer through them to take this shot. And it is Wonderland. 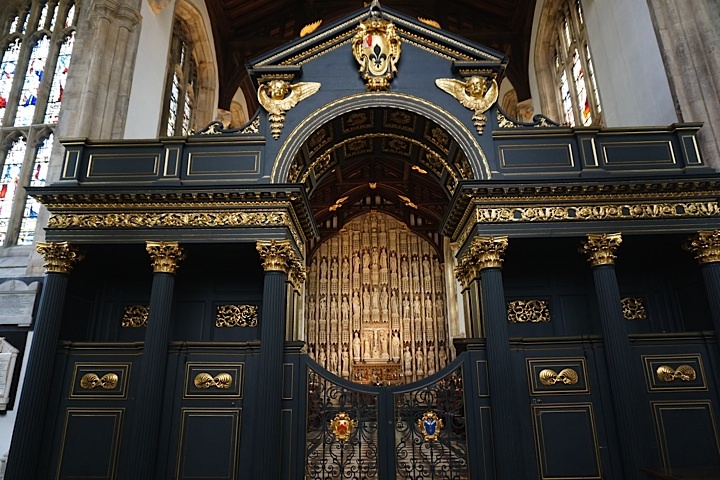 “‘And this is your first time at All Souls?’ I bit my lip, and he laughed. ‘Let’s get this over with,’ he said, holding up his hands and beginning to tick off colleges. 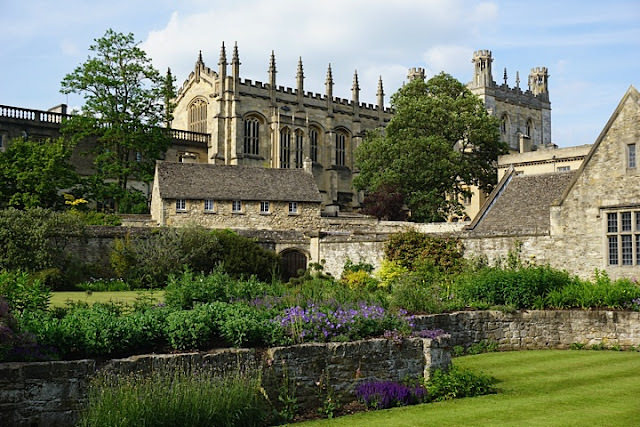 I’ve been a member—once—of Merton, Magdelan, and University Colleges. I’ve been a member of New College and Oriel twice each. And this is the first time All Souls has paid any attention to me.’" The time spent at All Souls was the most magical of the trip for me. There was a hushed reverence about the place. And I was hoping my IQ might climb a few points during my visit. Hardly a soul shared the space with us, even though it was open to the public for two hours that afternoon. It allowed for some great photos! Taken from inside the All Souls Quadrangle, Radcliffe Camera visible just outside the wall. 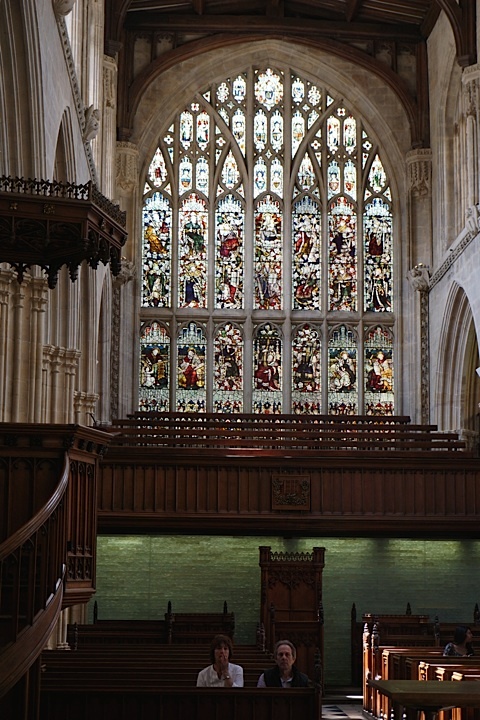 Inside All Souls Chapel. Completed in 1442. Breathtaking. A holy space. 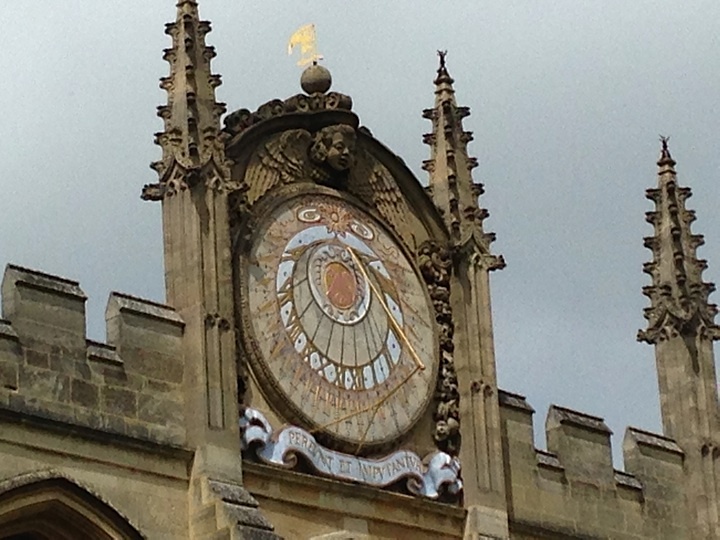 Close up of the sundial in the All Souls Quadrangle. My husband says this was his favorite part of All Souls. “No matter what I told myself in the quadrangle, my walk home was faster than usual. 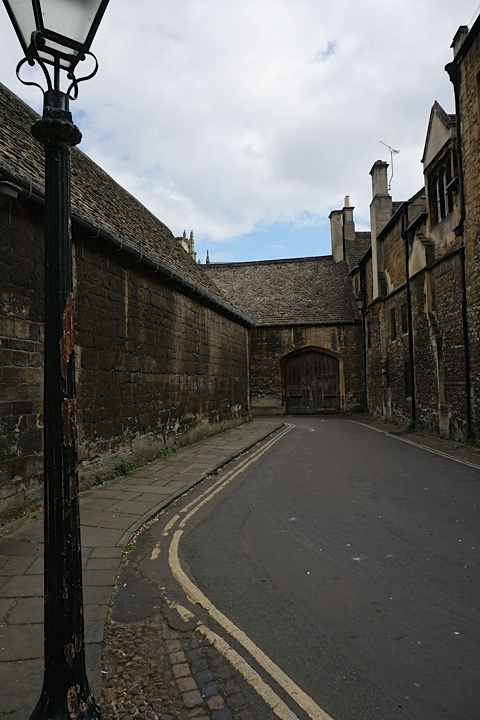 The gloom of New College Lane was a spooky proposition at the best of times.” ADOW p. 21. Very spooky. Even on a late Spring evening. 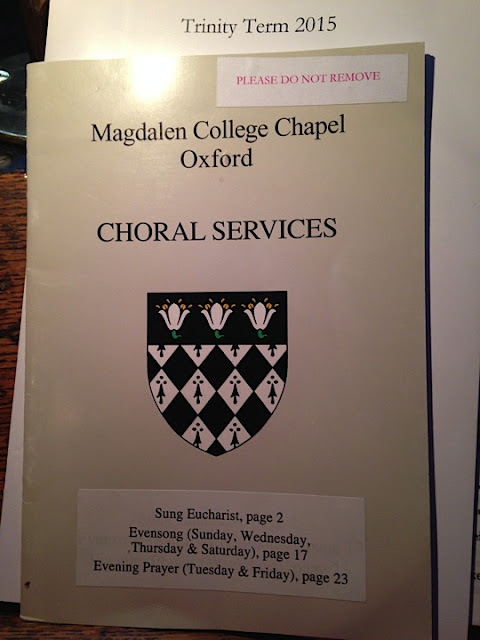 We walked this route to attend Evensong at Magdelan College Chapel. The amazing, beautiful perfection of a Boy Choir in a gorgeous setting. I felt it would be sacrilege to take pictures during a church service, but I did sneak a quick pic of the program after Evensong concluded. 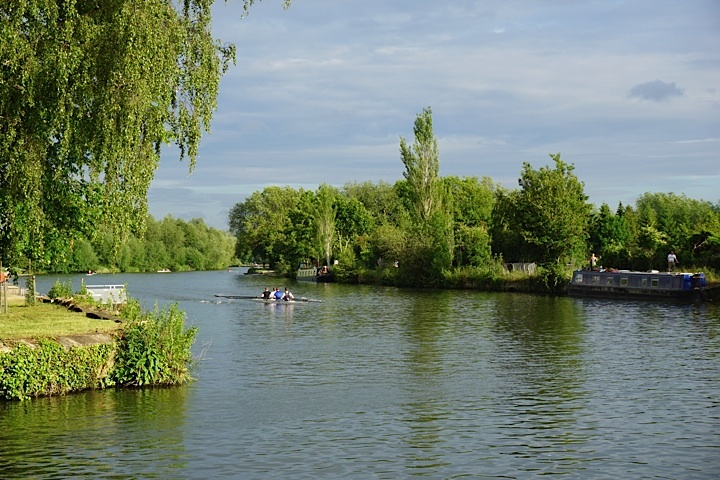 “Rowing was a religion for me, composed of a set of rituals and movement repeated until they became a meditation.” ADOW p. 39. “The sky darkened behind my closed lids, and the booming sound of traffic overhead indicated that I’d passed underneath the Donnington Bridge. Coming through into the sunlight on the other side, I opened my eyes—and felt the cold touch of a vampire’s gaze on my sternum.” ADOW p. 40. 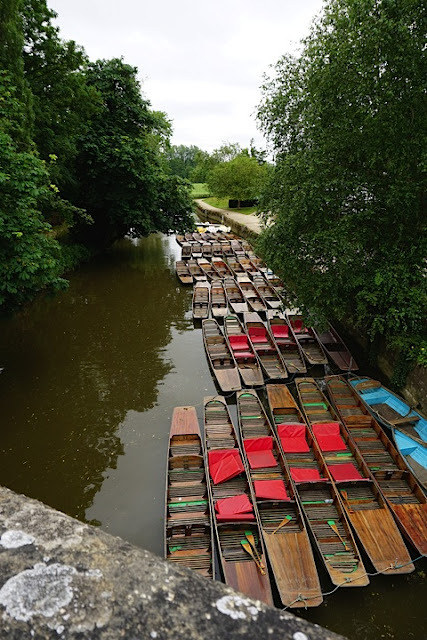 The above view is Folly Bridge, upstream from the Donnington, and seems to be at one end of the stretch of river where most Oxford rowing occurs. 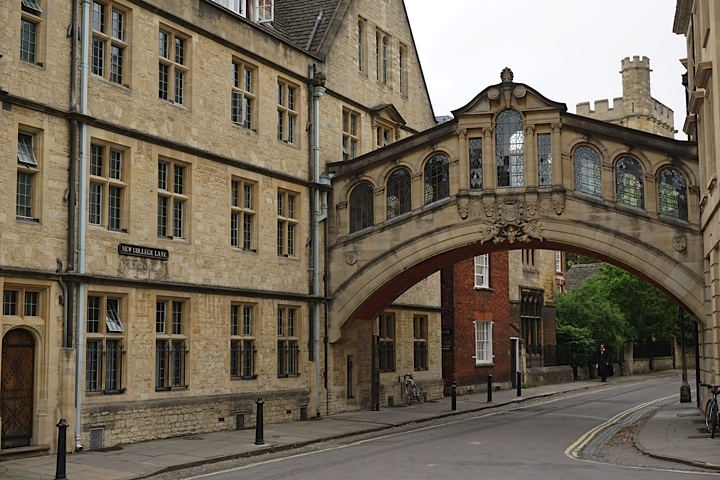 “My familiar route took me past Oriel College and to the tall, black iron gates between Merton and Corpus Christi. 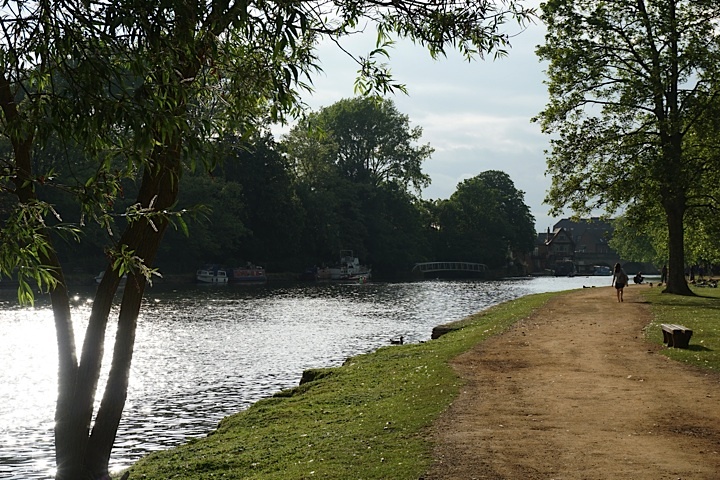 They were locked from dusk until dawn to keep people out of the meadows that bordered the river…” ADOW p. 62 We walked the path we assume Diana ran, and headed down to the boathouses. We were passed by many students out for a run on this beautiful evening in late Spring. A view down Broad Street, Oxford, as evening falls. 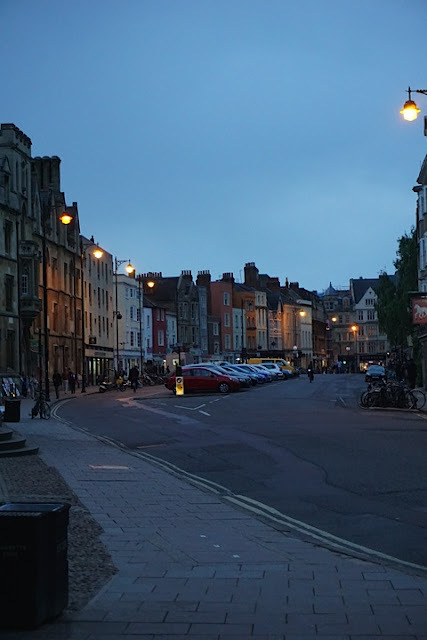 We clocked over 30,000 steps on our Fitbits during this marathon day touring Oxford on June 17, 2015. Picture of your blogger, Ann Daniel. A picture of me - a happy fan of Deb Harkness and the magical world she has created with the All Souls Trilogy. 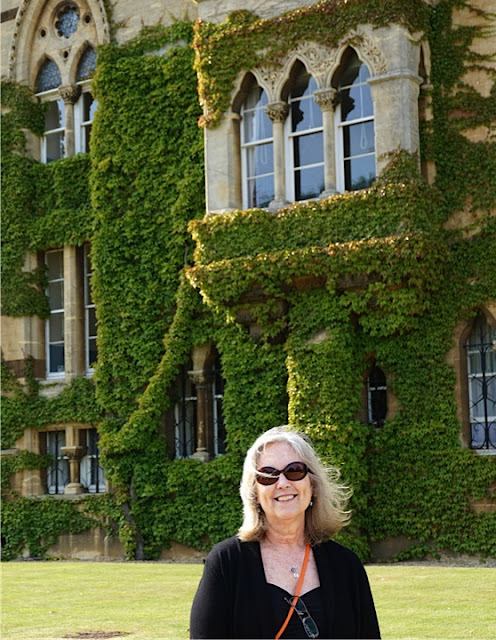 Picture in front of The Meadow Building, Christ Church, Oxford. Lee Daniel, responsible for most of the pictures — ALL of the good ones! 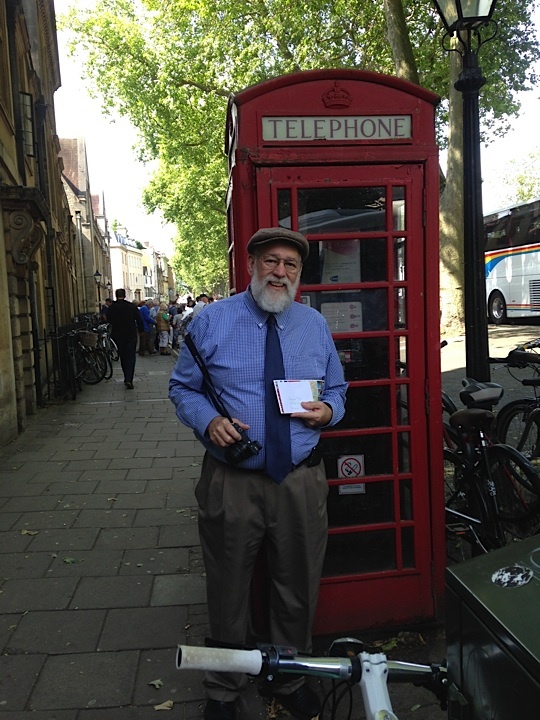 This sweet, adorable man who agreed to this detour to Oxford as we were heading to Scotland and Ireland last summer. He read and enjoyed the AST, too. So this was a fun adventure for both of us. Two days here was not enough! A return trip is in our plans. P.S. It's not our tale to tell! 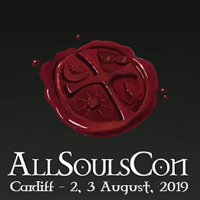 Do you have your own personal tale you'd like to share with All Souls fans? Contact us!